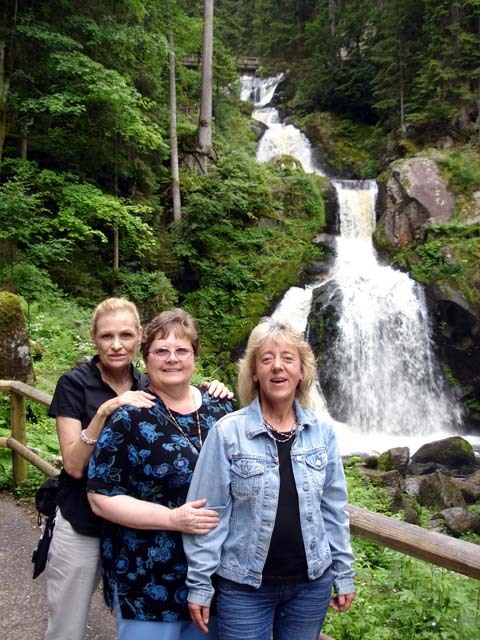 Hanne & Aunti Ri at the Wasserfall in Triberg. 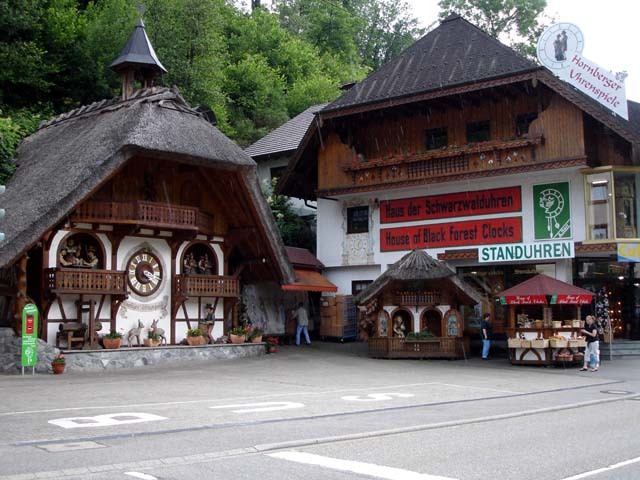 Our trip to the Schwarzwald (Black Forest) was a last minute idea. 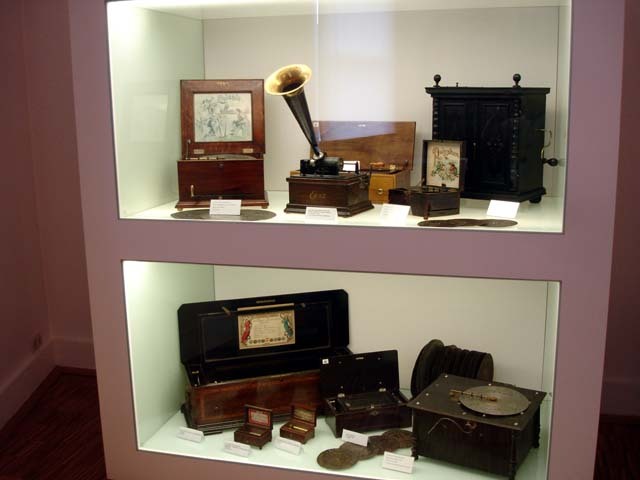 After planning almost every detail of my mother and aunt's visit with us, Hanne and I left a day open for them to choose something to see. To be honest, I wasn't really sure where else to take them. 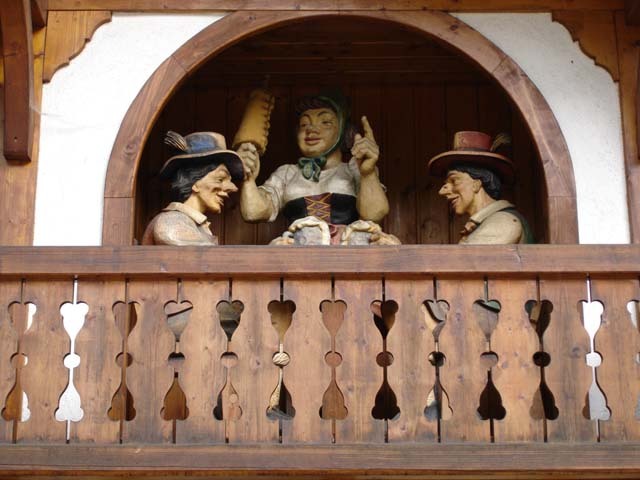 It was after a long day at Ruedesheim, that the list had narrowed down to Amsterdam or the Schwarzwald. 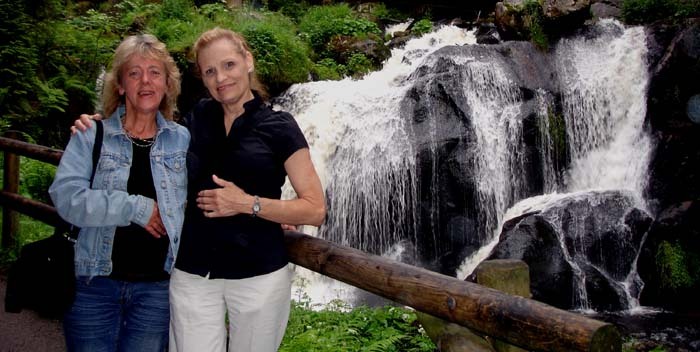 Since Amsterdam would have been an exhauting day filled with driving, my mother and aunt decided that the Black Forest would be a nice place to visit. 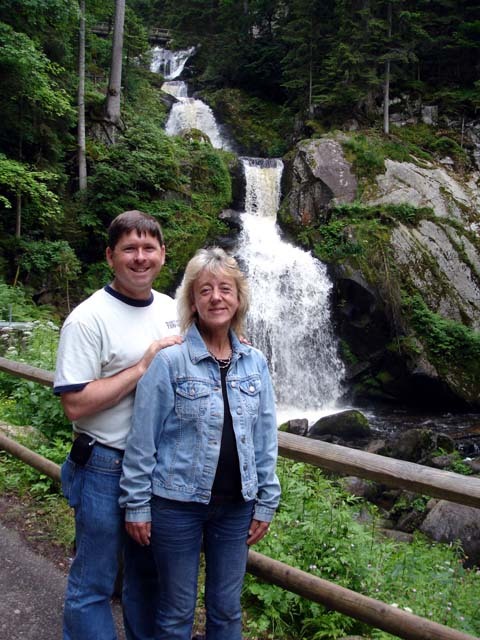 Wanting to ensure that my family was able to see as much of Europe as possible, I suggested that we drive through France to get to south-west Germany. 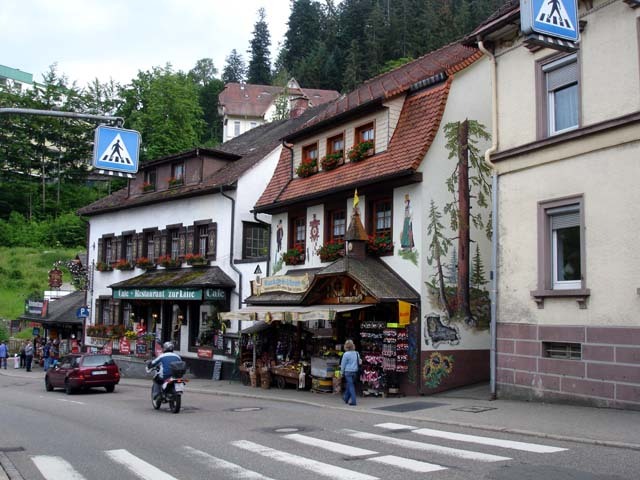 We made a short stop in Strassbourg, France for lunch, and continued on to our final destination, Triberg; home to the Schwarzwald Museum and Germany's tallest waterfall. 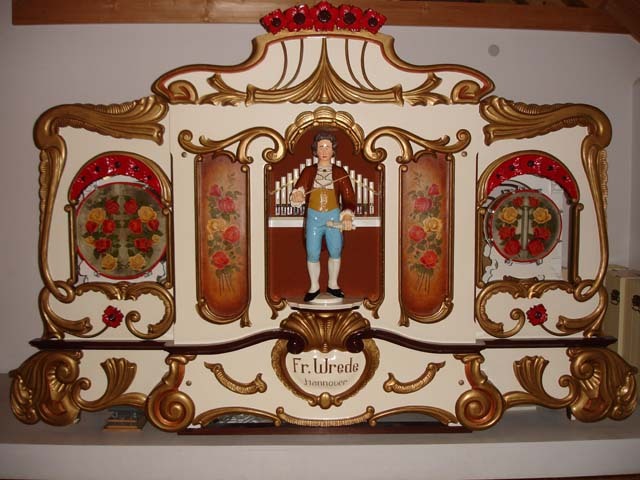 Triberg Wedding circa 19th Century. 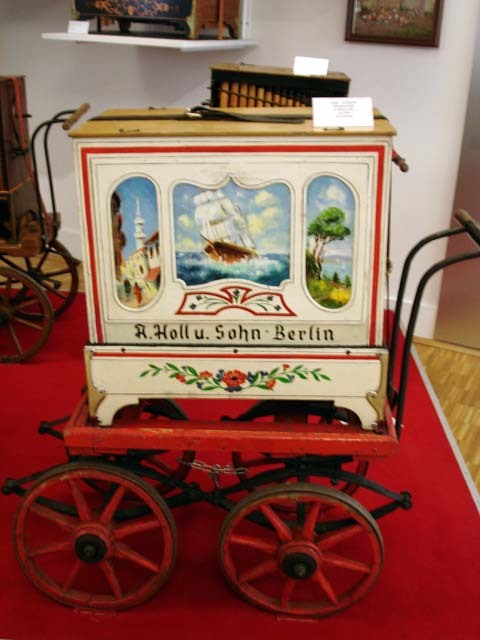 A typical organ used by organ-grinders from 1850 to present day. 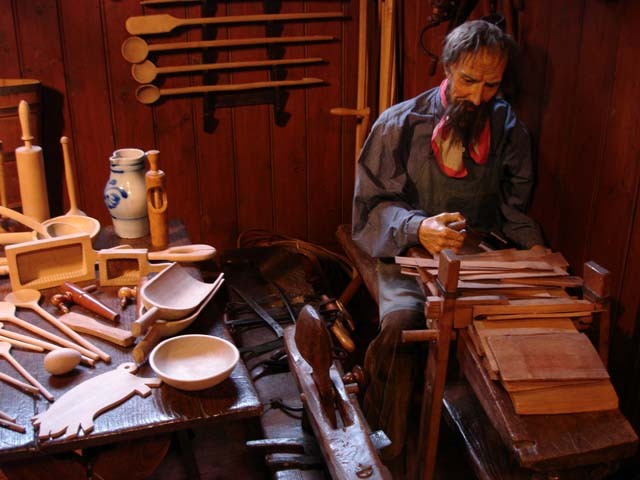 Although some logging has taken place over the past few centuries, it was easy to see how the entire countryside was once covered with tall pines, firs, and other varieties of trees. It was immediately obvious how the forest had received it's "spooky" reputation. 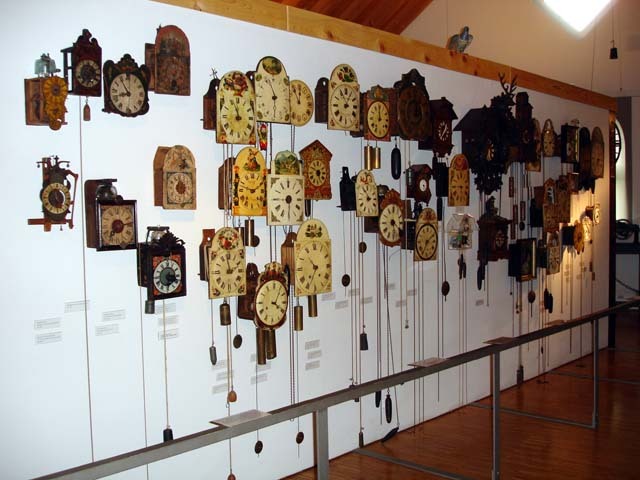 When we had almost reached Triberg, we happened upon a shop in Hornberg, which had built man-sized cuckoo-clocks as an attraction outside their store. Rain was pouring down, so we didn't stay long. 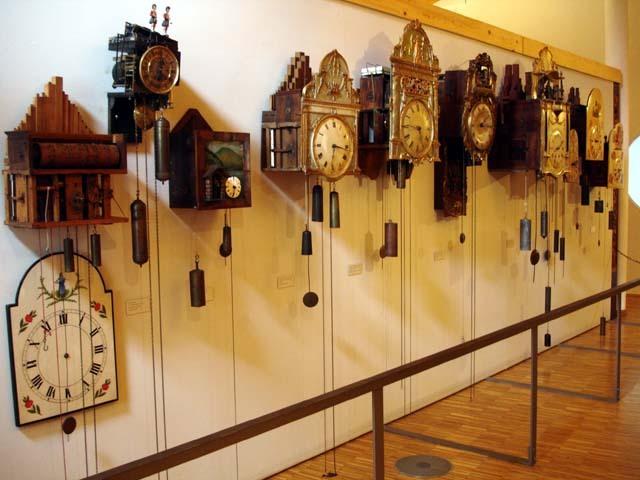 When one thinks of the Black Forest, the usual thoughts are of cuckoo-clocks, Black Forest cake, and Grimm Fairy Tales. 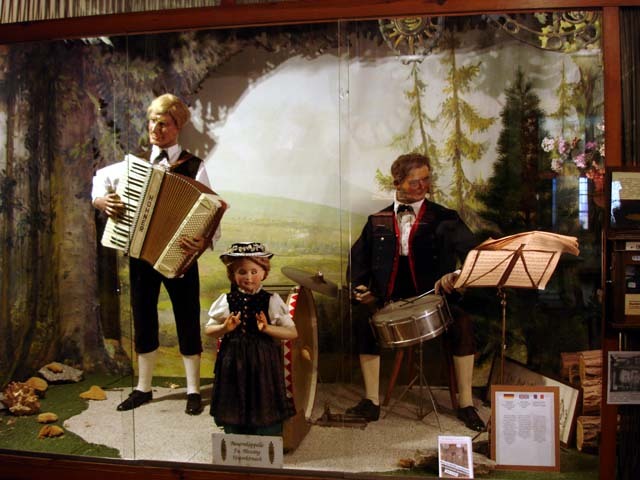 However, the Schwarzwald Museum in Triberg provides a much larger view of the industries that developed and thrived in this region of Germany. 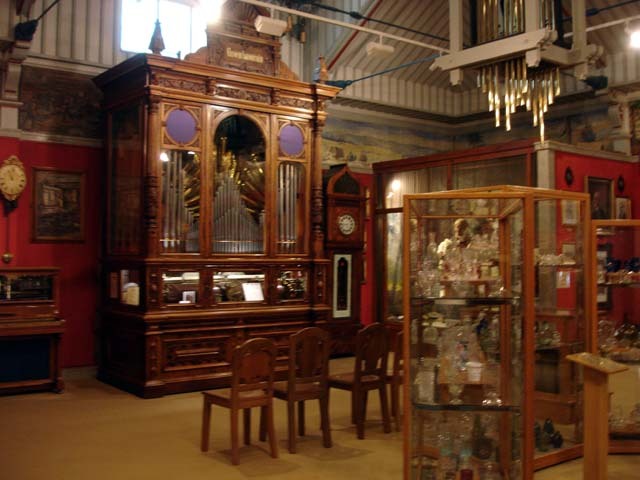 Upon entering the museum, what captures the eye are the full-sized, coin-operated musical display, some statues of people in traditional clothing, and a huge, wood-encased organ. 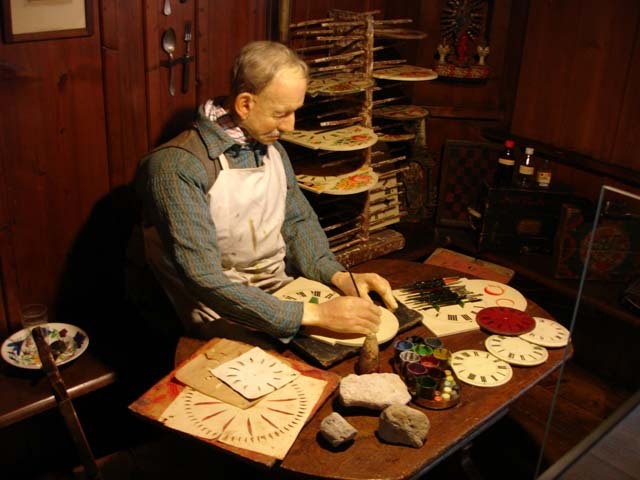 Throughout the museum, vignettes of people making cuckoo-clocks and other household items can be seen. 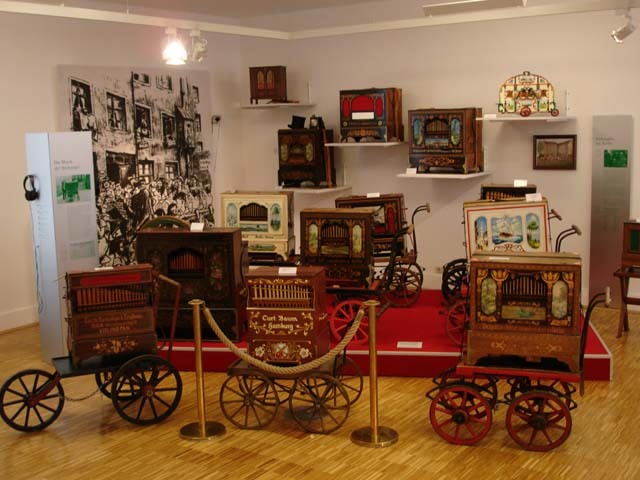 Proceeding from room to room, some of the items on display are cuckoo-clocks from different centuries, large carnival organs, and other wooden carnival objects. 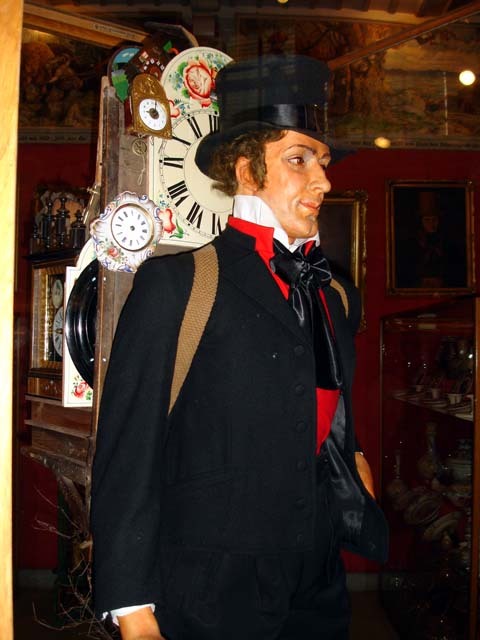 Remember the organ grinders from 1850-1950 that would sit on a street corner with a monkey to collect tips? 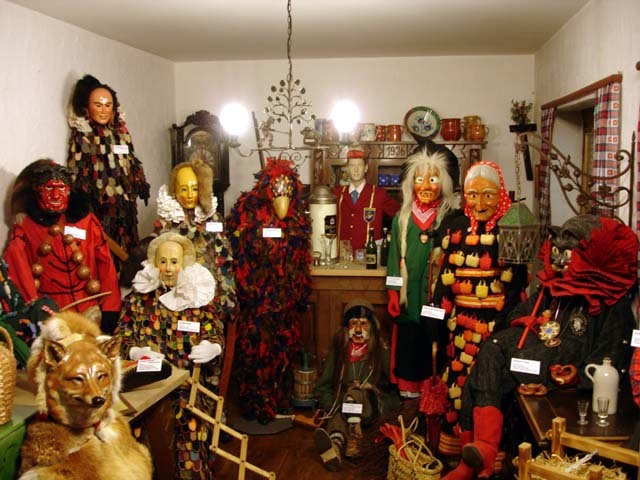 Well, there's a room full of those too. No, not the monkeys, the push-type organs. 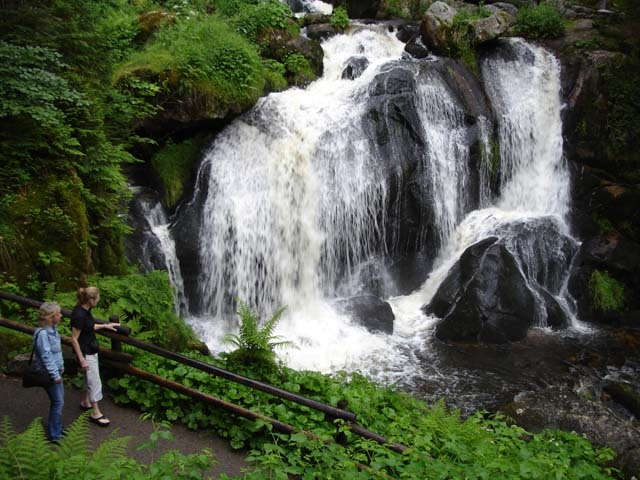 The next stop, after doing a little bit of shopping for souvenirs, was the waterfall. 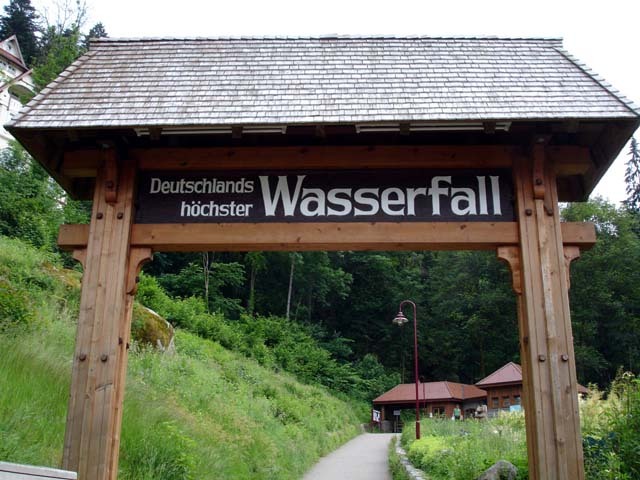 At 163 meters high, it's the tallest waterfall in Germany. 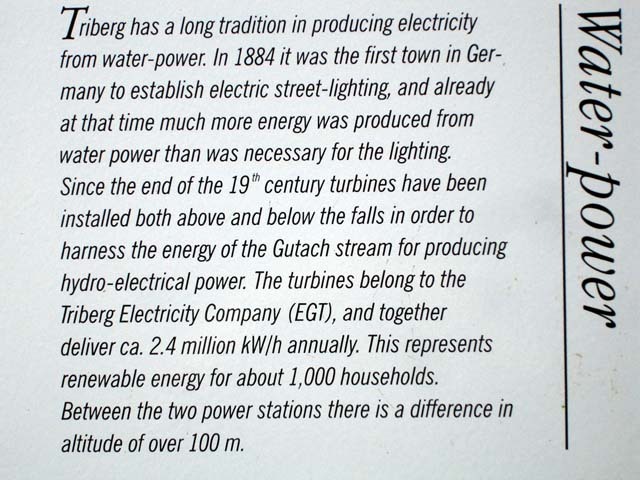 Long ago the town had harnessed the power of the falls to produce electricity, and in 1884 was the first town in Germany to have electric streetlights. We got some photos along our walk to the top, and decided that we were hungry. We topped off our evening by eating dinner at a nice restaurant next to the falls before making the drive home. 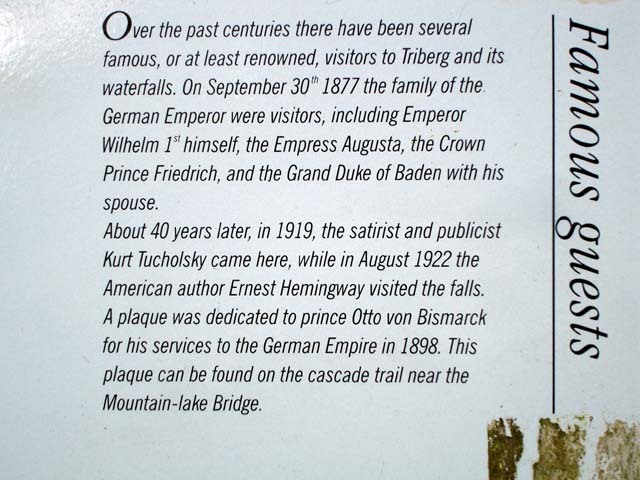 And, yes, we had Black Forest cake for dessert. 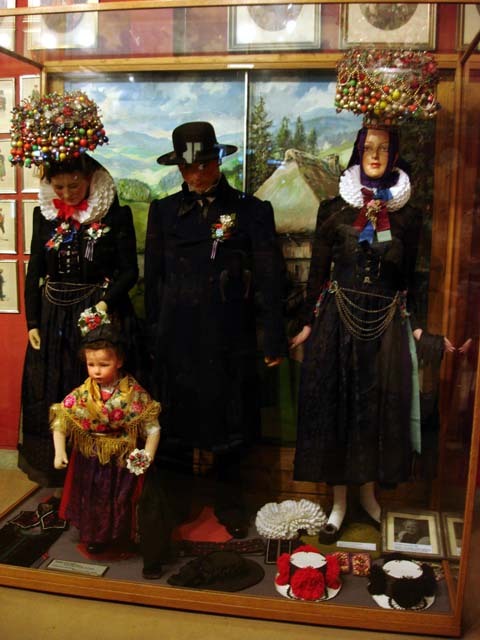 Costumes commonly worn during the Fasching holiday.